This evening, September 12, a Contact Group was held for the deeply controversial issue regarding the construction of a navy base at Gangjeong Village. I’m afraid I must write to let you know that I am extremely offended by statements you made this evening concerning Korean environmentalists. You spent much valuable time during our Contact Group discrediting the Open Letters to IUCN concerning the Gangjeong navy base. You said that because so few Koreans were included in the letter’s long list of signatories that the campaign to save Gangjeong is actually a colonial-style case of foreigners coming to a sovereign land to tell people what to do and how to do it. Wow! Talk about flawed logic! With all due respect, Mr. Khosla, you are thoroughly mistaken. Please do not project your own colonial experience on us. Instead, if you truly care about what the local people in this country want, as you say you do, then please listen to what WE have to say, instead of obsessing on the foreign colonials! 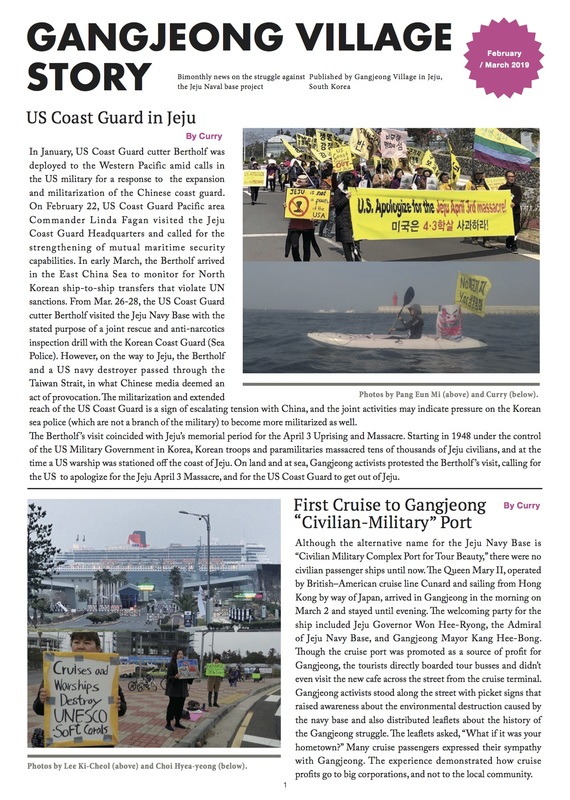 We told you, in our own open letter of July 10, 2012, signed by 125 Korean organizations totaling thousands of members, that we are opposed to the navy base that is slated to destroy Gangjeong Village. We told you that 3,000 university professors and five leading religious groups in South Korea oppose the Four Rivers Restoration project. We told you that we environmental organizations in South Korea are united in opposition to this project. We asked you if you were aware of the serious environmental and human rights violations that have been committed by the Korean government in the construction of the navy base at Gangjeong Village. But we Koreans from civil society seem to be invisible to you, even when there are thousands of us signing. You did not once this evening acknowledge the open letter that we Koreans wrote. You only continued to discredit our brave international allies, notably the Center for Humans and Nature. You wasted a lot of our Contact-Group time with that. We are invisible to you. It appears we count for nothing. We had already gotten a taste of being treated as second-class citizens by the IUCN. No, I’m not talking about when the Gangjeong villagers were denied their booth. I’m referring to Julia Marton-Lefevre’s August 28, 2012 letter stating that “no IUCN Members from Korea are signatories to this and previous open letters.” This remark was made in an effort to discredit the letter’s genuine pleas for the human dignity of the Gangjeong villagers. How cheap. Actually, my organization is both an IUCN Member and a signatory to the open letter. But you, nor Julia, seem to be paying attention. When members of my group, Citizens Institute for Environmental Studies, read Ms. Marton-Lefevre’s letter, of course we felt like second class citizens. Then, tonight, your behavior at the Contact Group meeting confirmed our suspicions that we count for nothing in the eyes of the IUCN. If you are interested, there is a reason that our open letter was separate from the internationals’ open letters. It is because when the internationals asked us to sign on, they also asked us to sign our personal names. Unfortunately, in our repressive nation, doing so would lead to employment blacklisting. South Korea is a democracy only in name. This is why we chose to write our own open letter, which has no individual signatories, only organization names, in order to protect people from government persecution. So, Mr. Khosla, please don’t assume that every non-European fits into your specific experience as a colonized person. You have proven tonight that you know very little about the situation in Korea or the Korean people. And if the Open Letter from 125 Korean civil society organizations could not convince you of the corrupt and oppressive human-rights violations that the Korean government levies on its people, then would you be convinced by the letter from the United Nations that was also cited at tonight’s meeting? At the meeting, the woman from Gangjeong Village spoke about a letter sent by three UN Rapporteurs: Frank La Rue, Special Rapporteur on the promotion and protection of the right to freedom of opinion and expression; Maina Kiai, Special Rapporteur on the rights to freedom of peaceful assembly and of association; and Margaret Sekaggya, Special Rapporteur on the situation of human rights defenders. Their 30 May 2012 letter of inquiry was sent to the Korean government regarding numerous “acts of harassment, intimidation and ill-treatment of peaceful protestors in Gangjeong village,” requesting a response within 60 days. That was three and half months ago. The government never responded. But being ignored is nothing new to us.